It was a night to remember. 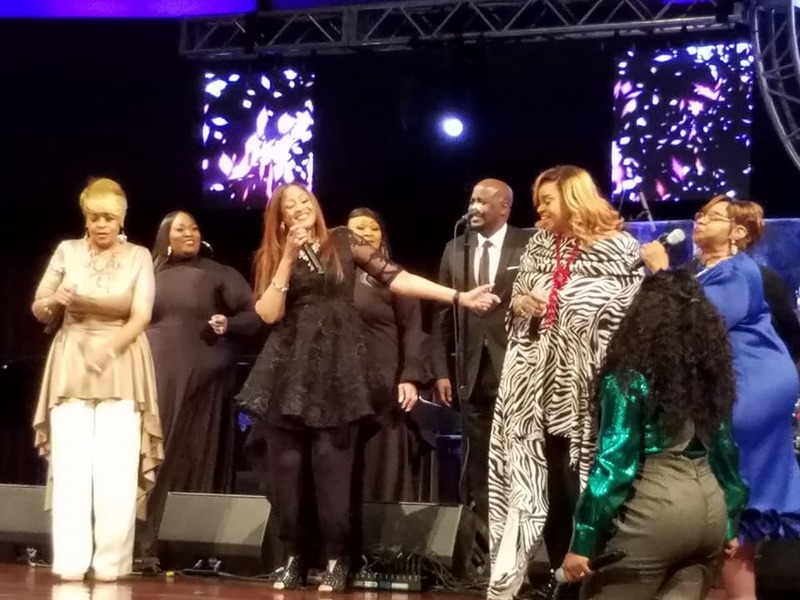 Some of the world’s greatest gospel artists graced the stage at The Church Without Walls Dec. 14 as part of the 2017 McDonald’s Inspiration Celebration Holiday Experience. 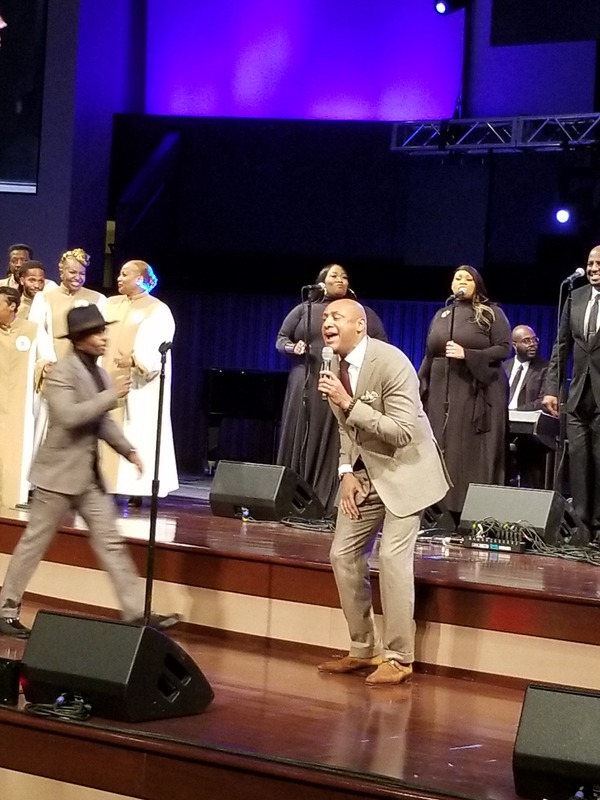 On the tour’s stop in Houston, every seat was filled as the legendary Kirk Franklin, Clark Sisters, Brian Courtney Wilson, Jekalyn Carr and Donald Lawrence put on an extraordinary gospel performance. Throughout the evening, intermingled with the performances were real life praise testimonies (via video) of some of the people whom the Ronald McDonald House Charities (RMHC) has helped over the years. Dr. Lonnie Hunter, radio host and gospel artist, hosted the tour. 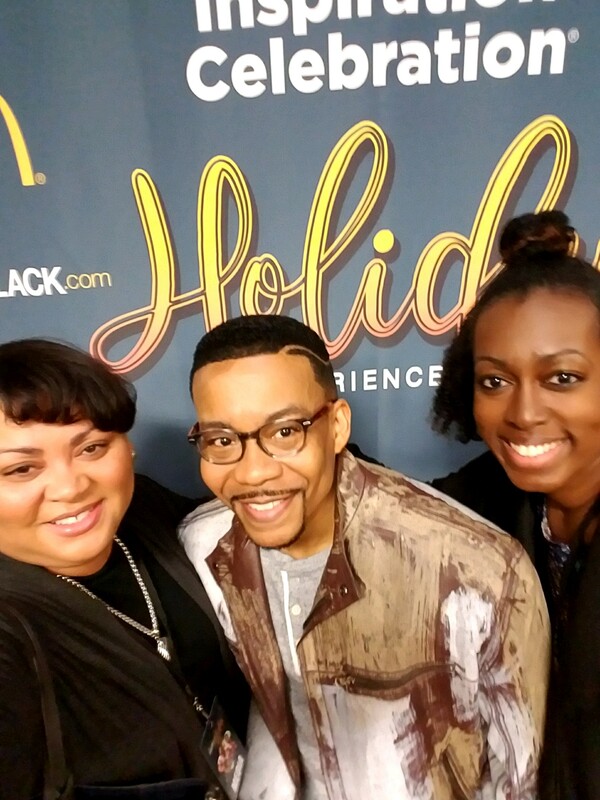 Prior to the event, Hunter shared with 2 Girls Who Travel how he came to begin hosting the show. 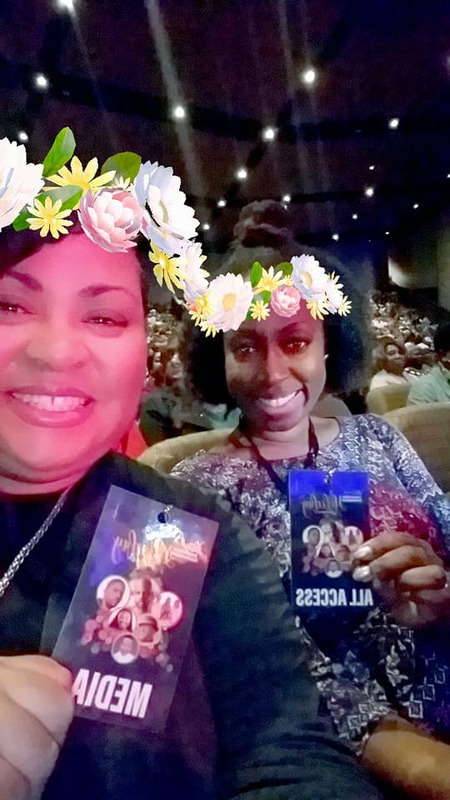 Check out the pics from the night and keep reading to see our exclusive interviews with performers Kirk Franklin and Brian Courtney Wilson and host Lonnie Hunter. 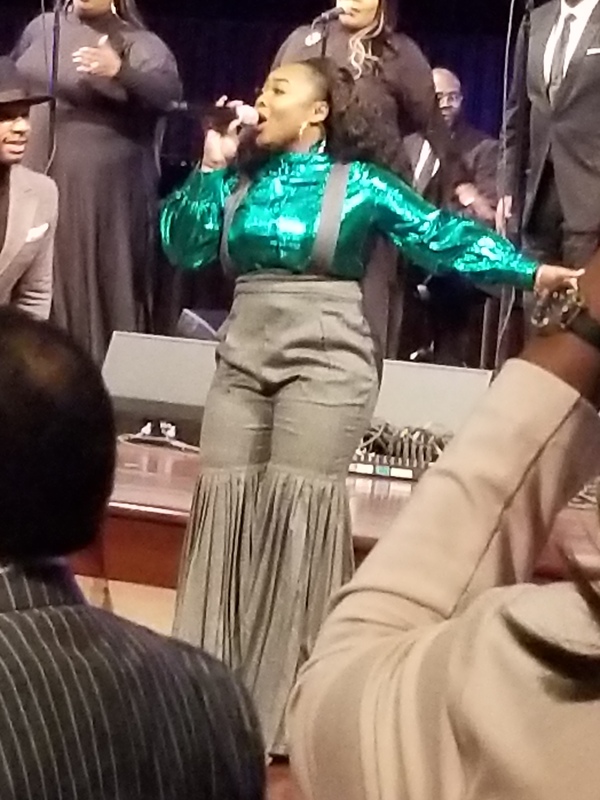 Jekalyn Carr – She may be small in stature, but her voice is mighty! 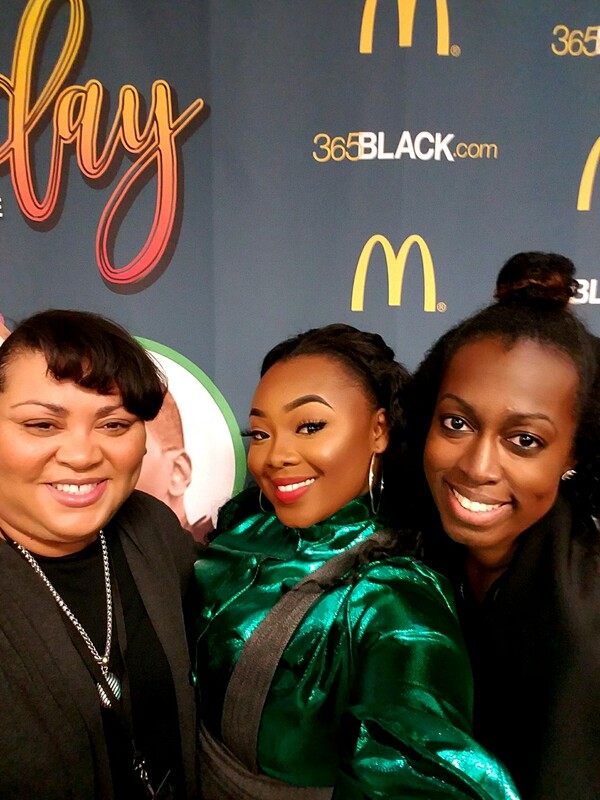 2GWT: A lot of fans remember you hosting Sunday Best on BET, which we all love. Any possibility we will see you hosting another TV show any time soon? KF: We’ll see. It’s all in God’s plan what He wants me to do in that area. We’ll just kind of see what He has lined up. Whatever it is that I’m called to do, I want to make sure that I’ll be very excellent in it. So that’s what I hope to accomplish in whatever role I’m in. 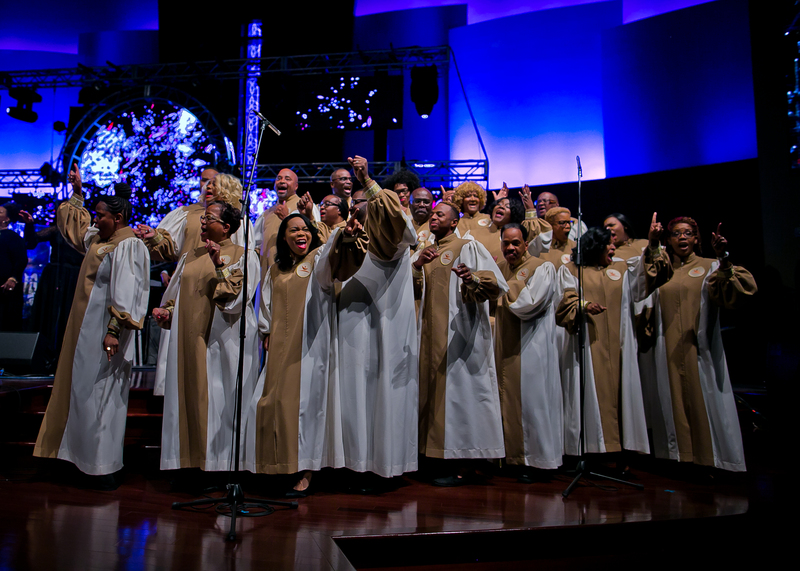 2GWT: How have you successfully merged gospel music and secular music together? KF: I have no idea. There’s nothing really strategic about it. It’s just what the Lord has allowed me to do. It’s been something I’ve been very grateful to do. 2GWT: How do you handle backlash or criticism from those who only want to peg you as a certain kind of artist? KF: More than anything, I try to be focused on what I’m called to do. Whether you succeed or fail at that, you want to live a life that is very intentional because you can be successful and still not be intentional. TGWT: What’s coming up next for you? 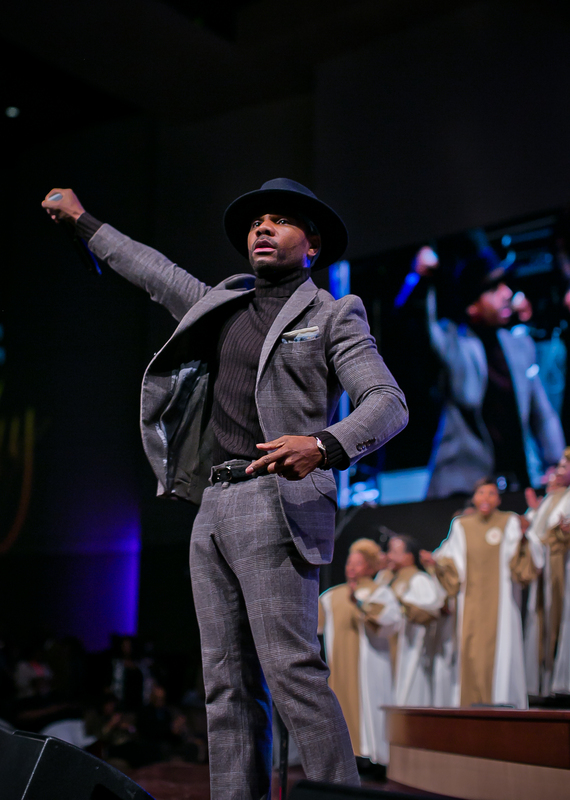 What can we expect from Kirk Franklin in the future? KF: I’m going into 2018 as an open book. This is the first time I ever approached a year like this. So we’ll see what it is that God has planned. TGWT: Tell us how you went from pharmaceuticals to gospel. How where you discovered? 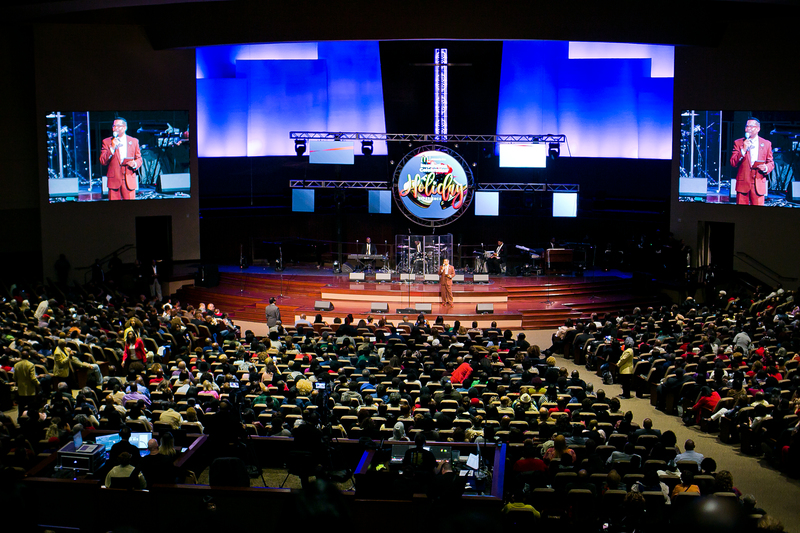 BCW: I began ministering at a local Houston church. The pastor introduced me to a friend of his who owned a record label and liked my music. I put my first record, Just Love, out on his label and the album was a hit with songs like “All I Need” (on billboard for a record-breaking 92 weeks), “Already Here” and the title track, “Just Love.” Singing was always a passion of mine. TGWT: With your close connection to Houston and after Hurricane Harvey, why was being on stage so important? BCW: Heralding hope is always in order. With what Houston has been through, I considered it an honor to be trusted to do that. TGWT: What’s on the horizon for you in 2018? Anything you want to leave our readers with? BCW: A Great Work will be released in the first quarter of 2018 on the Motown Gospel label. TGWT: Tell us about the “Get it Done” movement. LH: It started as more of a movement than it did music. The name of the CD came from the movement. New Year’s Eve four years ago, I was walking out onstage to do a concert and backstage, everybody kept talking about their New Year resolutions. That’s all I kept hearing, so when I walked back onstage to sing, I was going to talk about New Year’s resolutions. God stopped me in my tracks and said, “just tell the people to get it done.” No matter what their ‘it’ is, don’t make a resolution. Just do what you’re called to do and get it done. And from then on, it turned into that movement, which turned into the clothing line, which turned into the CD. It’s life-changing and because of that, I became a life coach with John Maxwell. TGWT: What is your most defining moment in your career? LH: What is most defining to me in the area of hosting is different than what’s most defining to me as an artist. As a radio host, one of the most defining moments for me was winning the Stellar Awards for host of the year in 2015. 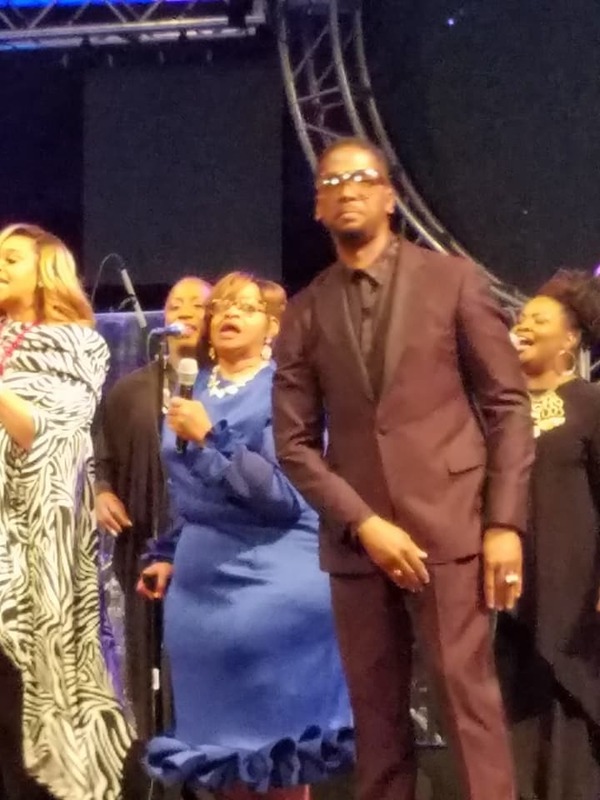 As a gospel artist, the defining moment happens over and over. It’s people letting me know how life-changing a performance is or what they’ve been listening to over and over again in their cars. That’s defining to me because we put the music out there for a purpose, not just to be on tour or be called an artist. I put music out there for the purpose of setting people up to be blessed. And when people meet me and say that kind of stuff, that’s what’s defining for me. TGWT: What’s coming up next for you? 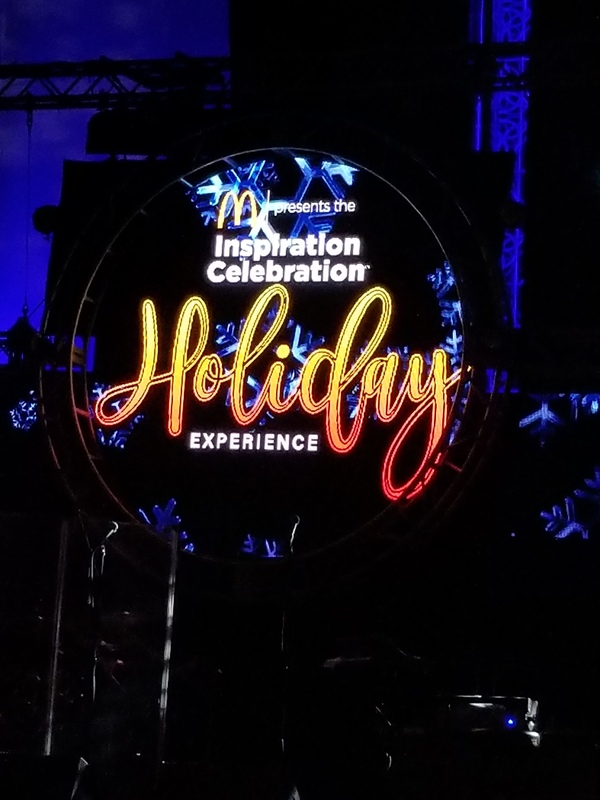 LH: Be on the lookout for the 2018 McDonald’s Inspiration Celebration tour. I also have a new single coming out in 2018. And you can catch me on the radio every day from 3-7 (EST) pm on the Lonnie Hunter show. Download UGospel radio app. The tour has many stops in 2018. Visit 365black.com for more information!